Netflix has launched the Breaking Bad spin off, Better Call Saul, in the French market, with an on-the-ground stunt for a man who is above the law. The challenge was to bring a fresh and innovative approach to the promotion of the anticipated Netflix show in France. The agency’s way in? Introducing to the French people the main attraction of the show, Saul Goodman. 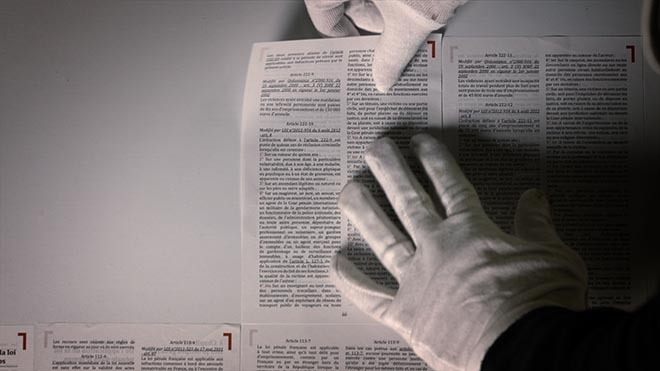 Ogilvy created a huge billboard that flaunted, none other than his truly, Saul, made from the very pages of the criminal code bible he so cleverly manipulates his way around. 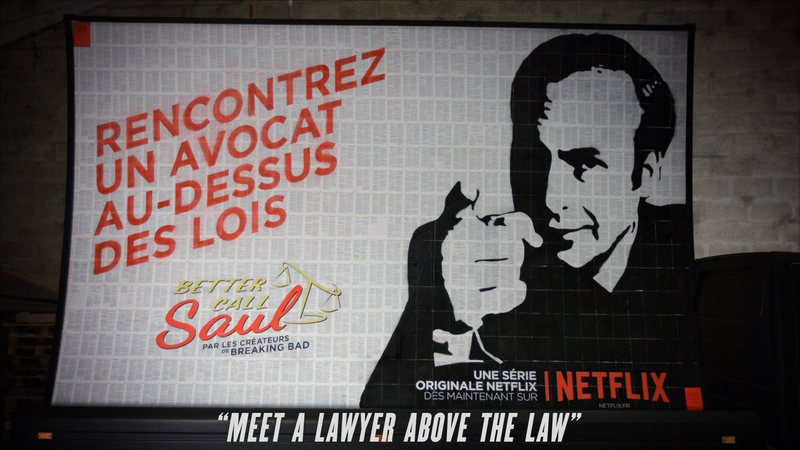 “Rencontrez un avocat au-dessut des lois” (Meet the lawyer above the law). 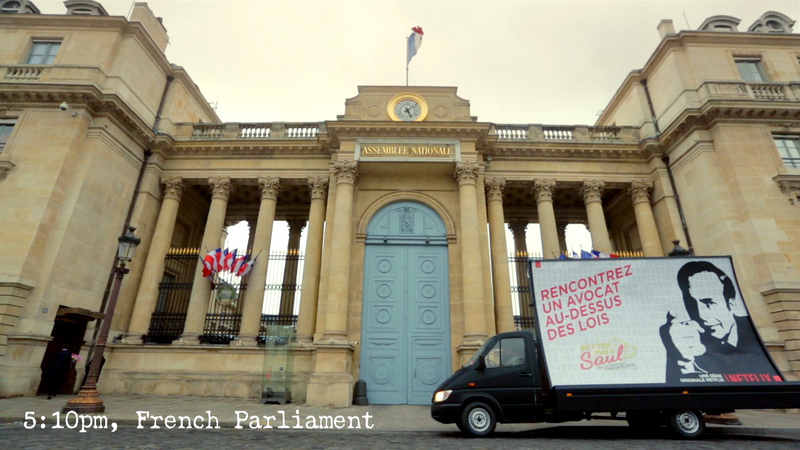 The agency then hired two flat-bed trucks and went mobile with Saul’s billboard around Paris, driving in front of the Parisian law enforcing judiciary systems such as the Law Faculty, State Prison, French Parliament. If Ogilvy had gotten in trouble for the stunt, it would have called Saul. The Netflix Better Call Saul campaign was developed at Ogilvy France, Paris, by CEO Philip Heimann, executive creative director Baptiste Clinet, creative director Nicolas Lautier, copywriter Dimitri Deneuville, art director Thomas Defert, producer François Phan, head of music and sound Virgile Stein, photographer Jérémy Bouchet, business director Anne-Sophie Carbo, account supervisor Laure Bathol, account executive Alexis Valero, junior account executives Joo-Hyung Lee and Lise Gros, strategic planner Amélie Delacour. Production was done at Mythologies Lab by producer Aurore Clinet-Jeannin. Filming was shot by director Thomas Franceschini at Foxtrot Creative with producers Alexis Feltesse and Charles-Eric Carlsberg. Music, Epic Urban Tales (Gum Collection) and Crush This Town Mastered (Cezame) was produced at CaleSon by sound engineer Yoan Faisy. Media was handled at MEC by managing partner Matthieu Delcoustal and group account director Geoffrey Haya.